The Luxury Included resort will welcome hospitality leaders from across the region on Saturday, September 17th, as they gather to see who among them has been voted the best-of-the-best. 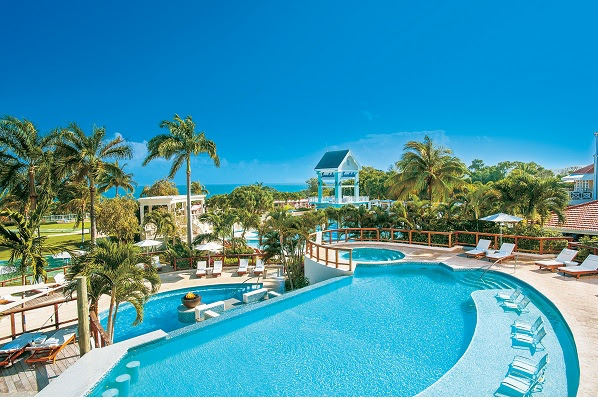 Wrapped in the lush beauty of rolling mountains, meandering rivers, cascading waterfalls, and a picture-perfect coastline, Sandals Ochi Beach Resort inspires those who seek out its adventurous spirit and chic attitude. This essence of cool Caribbean is found at the resort - a distinctive fusion of the French Riviera, with all its savoir faire, and the laid back rhythms of a Jamaican beach resort. The event this year will be hosted by Adrian Atkinson and Yendi Philsps, while the glittering ceremony will also see performances from Etana, Tam T, Jodi K, Ana Strachan and the Silver Birds Steel Pan Ochestra. World Travel Awards president Graham Cooke said: “It is a pleasure for us to return to Jamaica for our annual Caribbean & North America Gala Ceremony. “It is our pleasure to host this year’s World Travel Awards at the newly renovated Sandals Ochi Beach Resort,” said Gordon “Butch” Stewart, chairman of Sandals Resorts International.